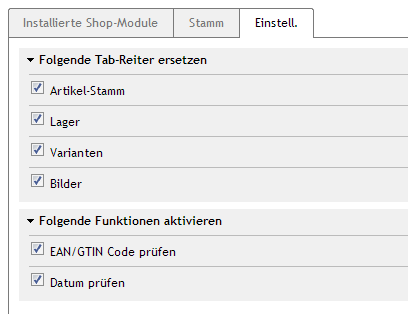 Admin extension of the products tabs Main, Extended, Stock, Variants and Pictures by additional input validations and fields. 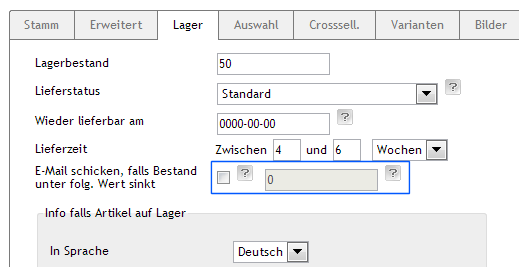 The extension jxExtArts enhances the admin pages for products by checks for date and EAN values. Additionally several fields will be disabled/enabled on demand for avoiding misentries. The editing of variants will be extended by field for EAN, buying and suggested retail prices for allowing to edit these fields without the need to open each variant individually. The pricture tab will be enhanced by a preview and a confirmation on delete.